The new Ammeraal Beltech uni UltraFit Two-Part Sprocket System with interchangeable adapters is an important innovation designed specifically to save time and effort on maintenance in the corrugated industry, and it&apos;s on display at the Ammeraal Beltech booth. Sprockets are crucial components in conveyor belt systems, and replacing them can be a difficult job involving complex gearbox and drive shaft removals, but it doesn&apos;t have to be so hard. With the uni UltraFitTwo-Part Sprocket, installation is quickly and easily achieved by just one person, with little working space required and no heavy lifting. Perhaps the most advanced features on these new sprockets are their interchangeable spacer adapters; with them, the same sprocket can be used on a variety of drive shaft sizes. What&apos;s more, these innovative adapters guarantee perfect sprocket alignment across the belt width. 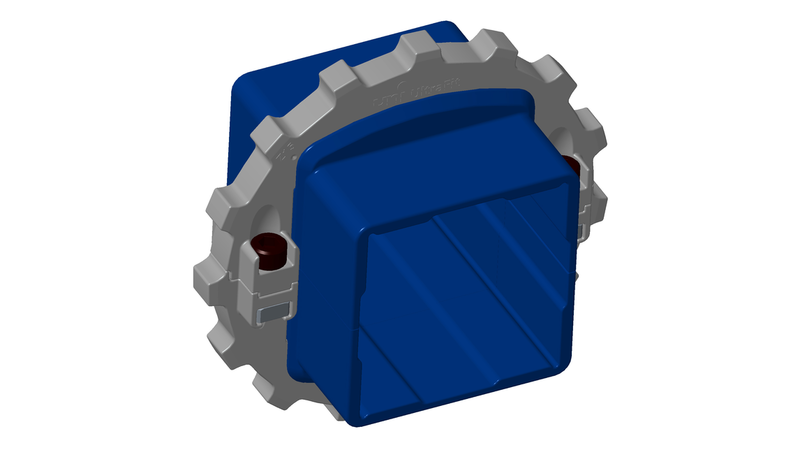 The sprockets are available in a wide range of tooth numbers and popular Metric and Imperial bore sizes, and they can be used with more Ammeraal Beltech Modular Belts.